Hey y'all! I hope you all had a great weekend! On Friday, we celebrated my daughter's seventh birthday! She was completely spoiled all day long with donuts for breakfast, Chick-Fil-A and cookies at school for lunch, getting her hair cut and styled like Belle, a pizza party with friends and family, and then we topped the night off by seeing the new Beauty and the Beast movie! It was such a fun day! Today, I'm styling another beautiful piece from the Spring 2017 Collection from Cuddy Studios! 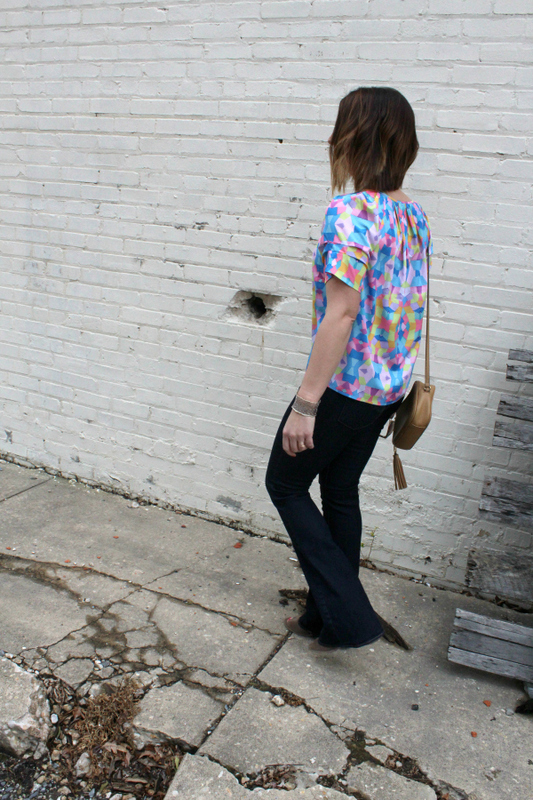 Cuddy is a brand that specializes in colorful, modern photographic prints in simple silhouettes that are reminiscent of the sixties and seventies. All of their fabrics are digitally printed from original, hand cut artwork. The process starts with hand-cut geometric shapes that are arranged into a unique design. Then the design is photographed and digitized on the computer. The computer created a more elaborate pattern that is printed on their exclusive crepe fabric and then turned into their gorgeous clothing! The top I am styling today was creating using this process. I styled the Felicity tie top in allover Kites print with my favorite flare leg jeans, open toe, booties, simple jewels, and a neutral bag. I wanted to keep my outfit simple with this top because the top really steals the show. 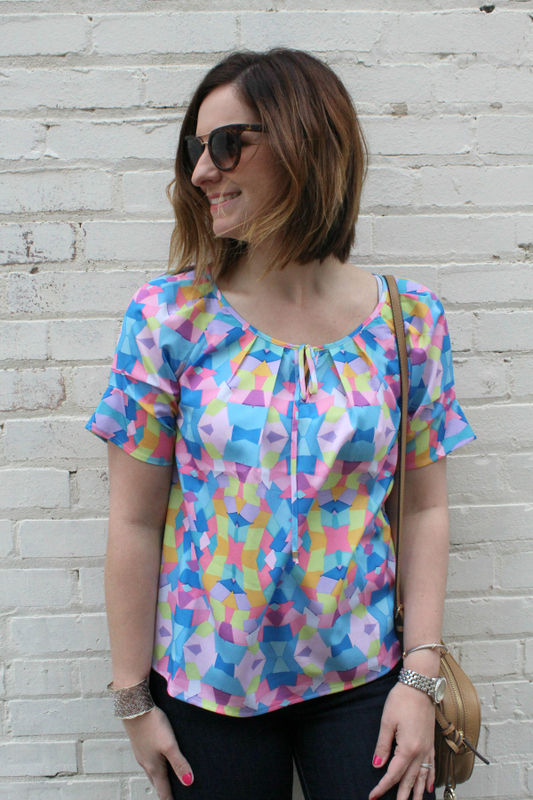 I love the vibrant colors and the kite print! The tie can be worn tied like I did or untied for a different look depending on the ocassion. I think this top would also be so perfect with white skinny jeans and wedges for a spring or summer date night, which exactly how I plan to wear it next time! For size reference, I'm wearing a size small in this top and I find that it runs true to size. Be sure to follow the links on this post to see more from Cuddy Studios. Also, next week I will styling another gorgeous piece from their spring collection. I hope you have a wonderful day and thank you so much for visiting! 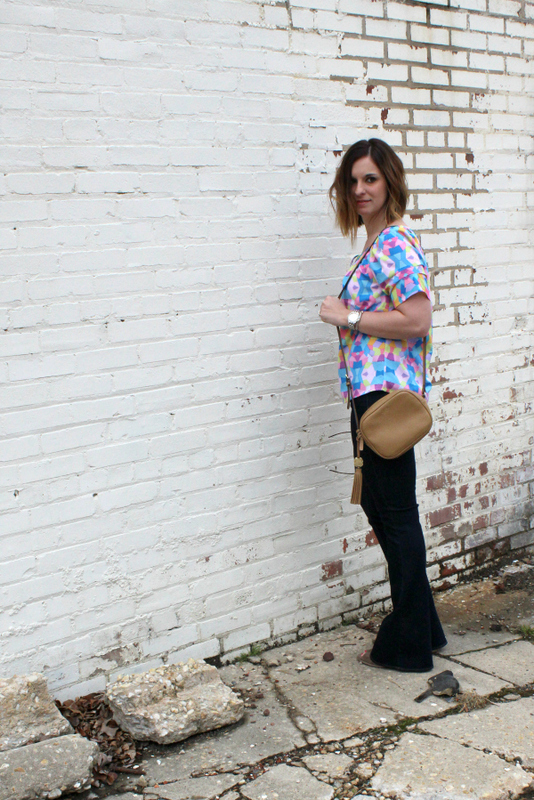 I love the way you styled this top with those flares! Too cute! This is such a pretty top - the print is gorgeous! 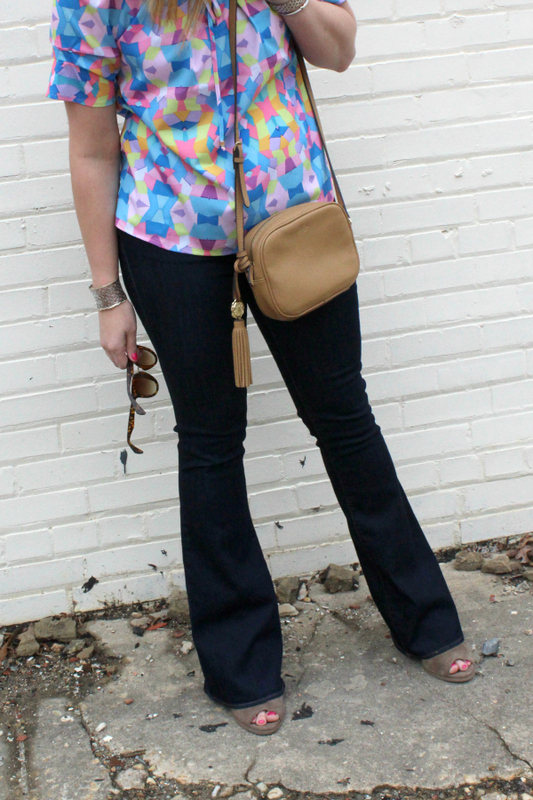 I love those flared jeans - they go perfectly! Such a cute top! I love the pastel colors. 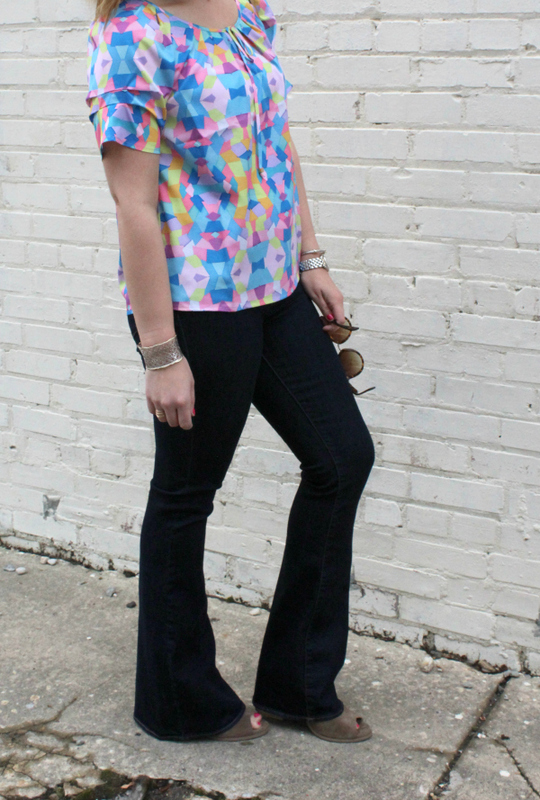 A perfect look for spring! 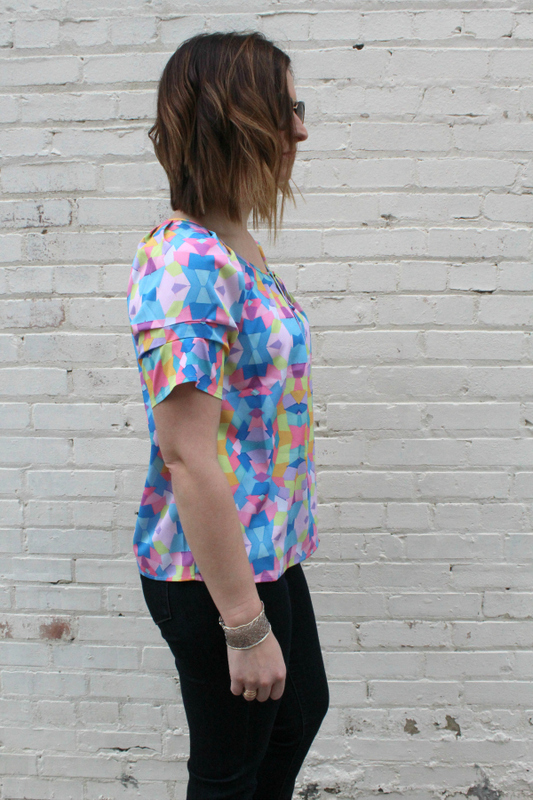 what pretty top, love the colorful and unique print! Girl so pretty! I love that colorful top on you. !